In a saute pan add olive oil and turn to medium high heat. Sprinkle chicken with salt and pepper and add chicken to pan and cook about 10 minutes on each side until no longer pink and cooked through. 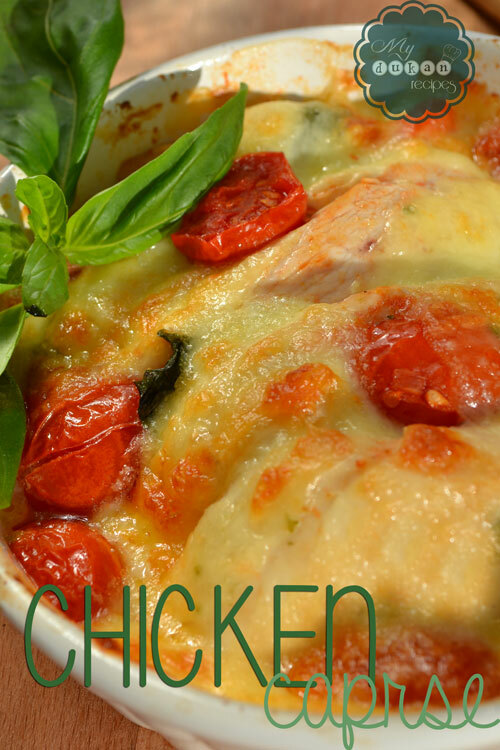 Remove the chicken into an ovenproof dish. Saute garlic until tender and add halved cherry tomatoes and cook for 1-2 minutes until they start to wrinkle and skin softens. Add chopped basil. 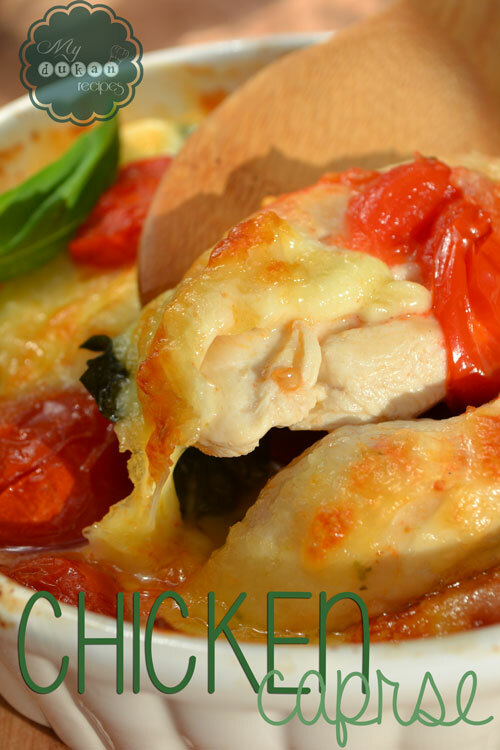 Top cooked chicken with tomato mixture and mozzarella cheese. 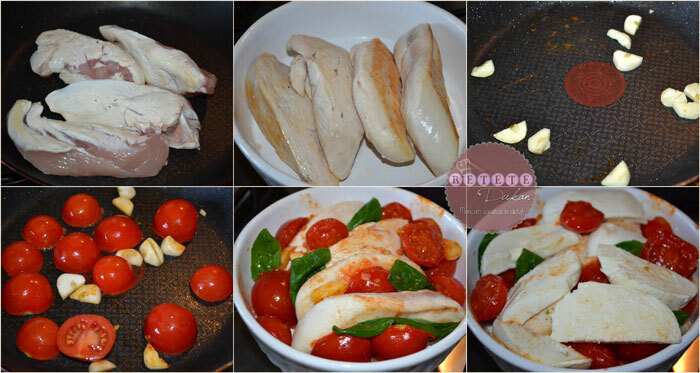 Place in the oven for 25 minutes.